Nine miles west of Montrose is Brechin in Angus, a quiet little town on the banks of the River South Esk, which boasts of a main attraction in its 14th-century cathedral, in Bishop's Close off the High Street. Brechin is a historical town situated in Angus, which is well known for its eleventh century round tower, one among the two of these Irish-style monuments surviving in Scotland and the other is at Abernethy, Perthshire. The tower was originally free-standing, but is now incorporated in Brechin Cathedral. Even though the cathedral has been refurbished it still retains the medieval work of the 13th and 14th centuries; the highlight is the handsome western tower and the processional door. There's been a church here since the ninth century though most of what you see dates from the beginning of the 20th century when major restoration work was carried out. The adjacent 106-ft high round tower dates from the 11th century and is one of only two such structures in the country. The doorway of the cathedral was built 6ft above the ground for protection against Viking raids and has notable carvings. You can see various Pictish stones in the cathedral's interior which glow in the light illuminated by the jewel-coloured stained-glass windows. Brechin is considered a city because of its status as the seat of a pre-reformation Roman Catholic diocese, which continues today as an Episcopal seat of the Scottish Episcopal Church. The famous football club of Berchin city has its origin in1906; it has a glorious history to speak. The football club is still known as Brechin City. Brechin offers lot more to the tourist visiting Scotland.Ã‚Â The prominent places in or near the burgh is the Pictavia centre, which depicts Pictish culture and displaying several carved stones, a small museum in the former Town House, and the Caledonian railway station apart from the cathedral and round tower, part of the chapel of Brechin's Maison Dieu or hospital survives from the Middle Ages. The Brechin Bridge is one of the oldest bridges in Scotland and till the 1780's it was the only bridge across the South Esk River. Enjoy a leisurely stroll along the Heritage Trail to see some of the old edifices that will take you back to the past. Brechin is a walker's haven and there are many spectacular walking trails that take you to the country side. On the way , you will see many quarries, market sites and some of the exceptional wildlife and plant life of the area. To cater to the needs of all the tourists Brechin city offers full-fledged accommodation facilities ranging from luxurious hotels to guest houses. Scottish Citylink buses run every 2 hrs to Aberdeen (1 hr), Dundee (50 mins) and Forfar (20 mins). Buses leave from Panmure St. Strathtay Scottish, T01382-228054, has services to Edzell several times daily (20 mins) and daily every hr to Montrose (20 mins), from South Esk St. The Tourist Information Centre is at 10 St Ninian's Pl, opposite the library. They have information on hiking in Glen Esk. Tel. 623050. Apr-Jun and Sep Mon-Sat 1000-1700; Jul-Aug Mon-Sat 0930-1730. The small Brechin Museumis housed in the library on St Ninian's Square and is the usual collection of local curiosities and memorabilia. Mon, Tue, Thu-Fri 0930-1800, Wed 0930-1900, Sat 0930-1700. Free. Also on St Ninian's Square is the terminus of the Caledonian Railway, which runs steam trains on a four-mile section of line between Brechin station and Bridge of Dun, a mile from the House of Dun. Trains run six times daily on Sun only, from Jun to early Sep. Tel. 810318. Just off the A90, is the Brechin Castle Centre, which is a Country Park with garden centre, pets corner, miniature railway (open April-September), picnic areas and waterside walks. There's also a coffee shop. Part of the centre is Pictavia, which gives a fascinating glimpse into Scotland's Celtic past. You'll help to solve the riddles of the stones, see the mysterious Pictish standing stones and hear the sounds of battle in the Tower of Sound. Open all year. Tel. 626813. Five miles north of Brechin on the B966 is Edzell, an impossibly neat and picturesque planned village lying at the foot of Glen Esk. At the entrance to the village is the impressive Dalhousie Arch which leads on to the wide main street, lined with quaint little tearooms and shops selling Victoriana. A mile west of the village is the red sandstone ruin of Edzell Castle, a 16th-century tower house which, over the course of its life, has been visited by Mary, Queen of Scots, James VI and, less happily, Cromwell's troops. 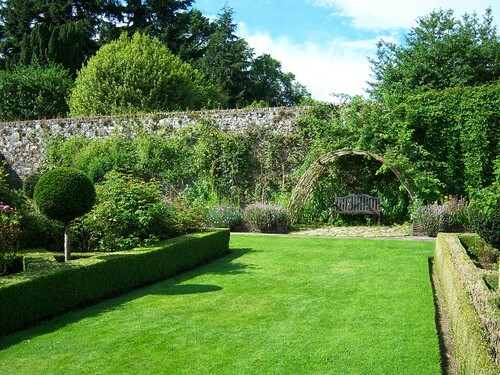 But it is the magnificent garden, or 'Pleasance', which is the real attraction. Created by Sir David Lindsay in 1604, the superb heraldic and symbolic sculpted wall panels are rare examples of European Renaissance Art in Scotland. Apr-Sep 0930-1830; Oct-Mar Mon-Wed and Sat 0930-1630, Thu 0930-1200, Fri and Sun 1400-1630. Tel. 648631. Three miles southwest of Edzell, on either side of the road, are the Brown_Caterthun and White Caterthun, two remarkable Iron-Age forts, defended by ditches and ramparts over 900-ft high. These were occupied by the Picts around the first few centuries AD and the views from the top are amazing. To get there, follow the road west of the castle and turn left at Bridgend, then take the left fork. Or take the road southwest from Edzell and take the first right after Dunlappie. There's no public transport. It's an easy walk from the road to either fort. Accommodation is limited. In Brechin there's the Northern Hotel, 2 Clerk St, T625505, which also serves moderately priced meals; and B&B at Doniford, 26 Airlie St, Tel. 62236. In Edzell the pleasant Glenesk Hotel does bar and restaurant meals. There's also B&B at Inchcape, Tel. 647266, on the High St; and The Gorse, Tel. 648207, on Dunlappie Rd. 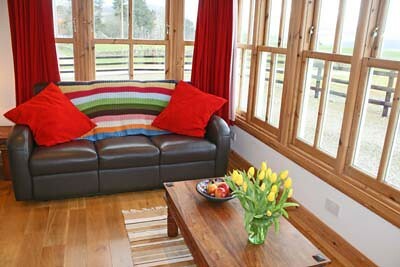 Angler's Bothy: Angler's Bothy has a stylish and contemporary open plan living area that lets in lot of air and light. 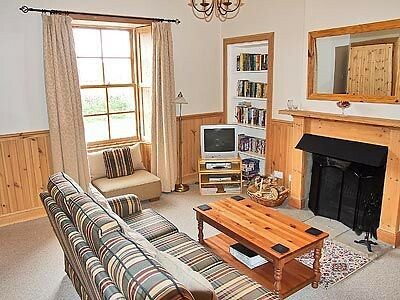 Located at a quiet area near the Angus Glens; lovely walking trails around; private garden near a stream; sleeps 4; Detached ; Non Smoking ; Multi Bath Shower; Open Fire; Short Break accommodation; pet friendly. Best Western Links Hotel is located in the centre of Montrose; it is refurbished to a high standard whilst retaining many original features intact. 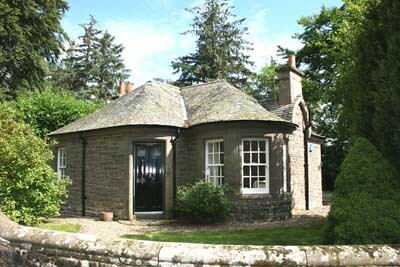 Situated on the historic Midlinks there are beaches and two golf courses with walking distance. Many corporate companies have their office nearby that will facilitate the business guests. It has a good restaurant with one AA Rosette, a Dutch style "Koffiehuis" with outdoor terrace, individual bedrooms and offers excellent hospitality. Overall an ideal place to business or Leisure stays. In total there are 25 attracting rooms available in this hotel. Facilities like room service; meeting or banquet Facilities, babysitting or child services, laundry, dry cleaning, internet services, packed Lunches, Fax/Photocopying, Wireless LAN etc. are provided for the convenience of the visitor. This hotel is completely non-smoking in all public areas including all hotel bedrooms. We had a wonderful stay this time, we were fortunate to find this excellent hotel. Rooms are of great individual standard. Food was very tasty and the staff behaved friendly and supportive- we were treated like people who make change. I highly recommend this hotel. The Northern Hotel has a comfortable 12 Bedrooms which are neatly refurbished. The 12 en-suite rooms have been beautifully designed and decorated to provide a restful and comfortable stay. With a solid walnut floor and paneling, the classic design with warmth. A magnificent copper-topped walnut paneled bar, coupled with innovative lighting, and comfortable leather under-lit seating all add to the relaxing and welcoming ambience. I was attending a function in the hotel. I struggled a bit with my northern accent.But no big deal. I would definitely recommend this hotel to anyone who wants a hotel to feel individual and real, rather than commercialized.